Can the Golden Age Tarnish…? The city is honoring the legendary Golden Agents of the Second World War with a new museum, but tragedy casts a shadow over the celebration, and raises disturbing questions about America’s beloved heroes. Have “the sins of the past” come back to haunt them? Your heroes have a chance to find out, and to do something about it! 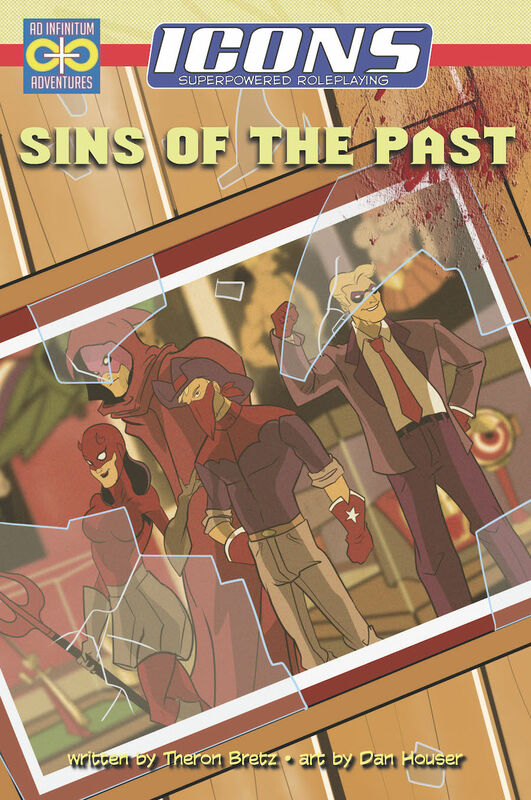 Sins of the Past is an updated new edition of a much-loved Icons adventure, written by Theron Bretz and illustrated by Dan House, including all-new art, maps, more details about the Golden Agents, plus playtest and design notes from the author, all updated for the Assembled Edition of the game, and now available on DriveThruRPG and RPGNow from Ad Infinitum Adventures! This entry was posted in Publishing and tagged ad infinitum, adventure, icons, superhero. Bookmark the permalink.